How Many Points Is Each Scrabble Tile Worth? Scrabble is a popular word game where players place lettered tiles on a board to make words. Each title is worth a different number of points. Each word is worth the cumulative amount points of the letters in the word. There are 100 tiles in the English version of the game, and each is worth between zero and 10 points. One of the first things that beginner Scrabble players should learn is the game's tile distribution. The limited number of letters is what makes the game such a fun challenge. Having a large vocabulary isn't enough to guarantee a high score. It's vital to know that, for example, only one J, K, Q, X, and Z are in the bag and that they provide the best opportunities for high scores. 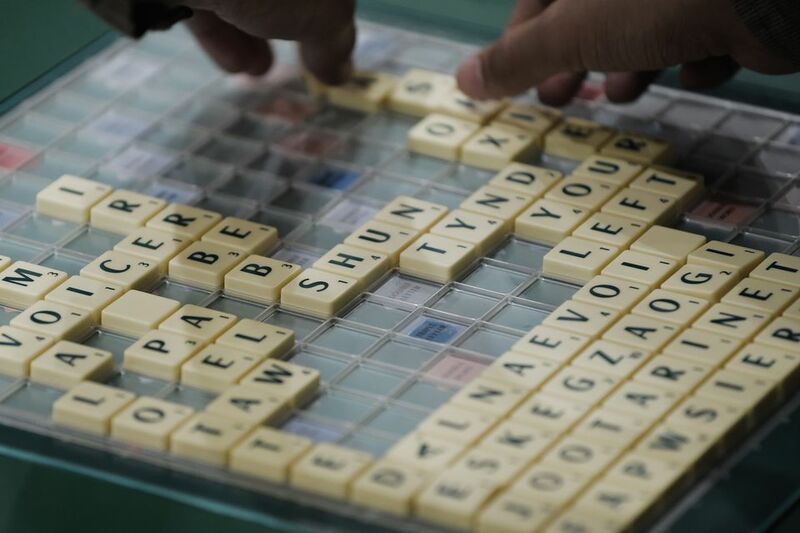 You might also want to learn Scrabble's legal words with no vowels, two-letter words and words with a Q but no U, plus other ways to improve your Scrabble play. Scrabble is available for 29 different languages and yes, the language your game is intended for does matter. While many languages use the Latin alphabet for it's written language, the frequency with which letters are used in each language is different. In the Afrikaans edition, there are no Z or X tiles because while the letters do exist in the language, they are used so infrequently that it didn't make sense to include them. In the Spanish edition, there are tiles for LL and RR. Players are not allowed to substitute two R tiles for an RR in this edition. Stress accent marks are usually disregarded in Scrabble unless specifically included on the tiles. No matter what language you play the game in, each edition has either 100 or 102 tiles. Some languages have 100 letter tiles and two blank tiles. Grab Huge Scrabble Points With These Two-Letter Words, "Qi" and "Za"